When I met Brett DuBois, I knew I had a good story, and a potentially great one. 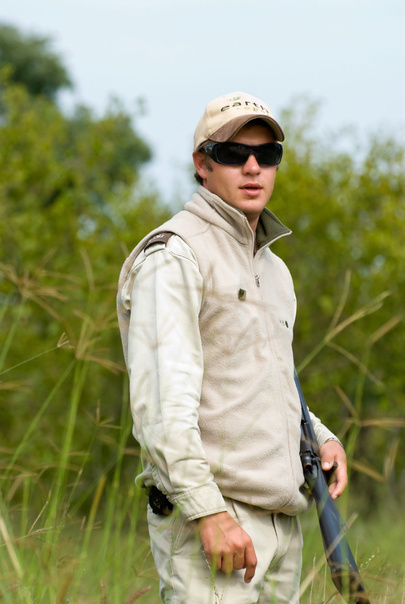 DuBois is a safari ranger in South Africa who lives with passion for his work and the animals surrounding him. He’s intense, tough and fearless, and showed me that the wild animals aren’t the only fascinating beings you encounter on a safari. DuBois, who I met during a visit to the Sabi Sabi Private Game Reserve in Greater Kruger Park, became the focus of a story that appeared on the cover of the Toronto Star’s January 8, 2011 issue. On Tuesday, that story won the top award for Best International Article in a Newspaper with a Circulation of 250,000 or More from the North American Travel Journalists Association (NATJA). You can find a link to it here on this website and here on the Star’s website. I also won third prize in the same category for an article on Curacao, a Dutch island in the Caribbean that attained its own government on October 10, 2010, shortly before my article was published in the Star. Curacao is a fun place, full of passionate people who care about their island and its uniqueness. I’m glad I was able to spotlight it. Lastly, NATJA voters awarded me and my good friend Jim Byers, the Star’s Travel Editor, with the Gold award for “Best Travel Series in a Newspaper” for our “Grand Tour” series that sent him and I to destinations around the globe in an insanely short amount of time. We covered 10 of the world’s most iconic cities, with Jim writing on 6 of them and me on 4. Here are the links to my articles in the series: Buenos Aires, Jerusalem, St. Petersburg and Cape Town. Also, I’m proud to say that Julia Pelish, my wife and perpetual photographer/videographer, won a Bronze award in the “Best Cover Photo, Illustration” category for her stunning picture of a thunderstorm in Aruba. You can see that photo on her website. Thanks to the voters for singling out my stories for the second year in a row. Much appreciated and greatly honoured.